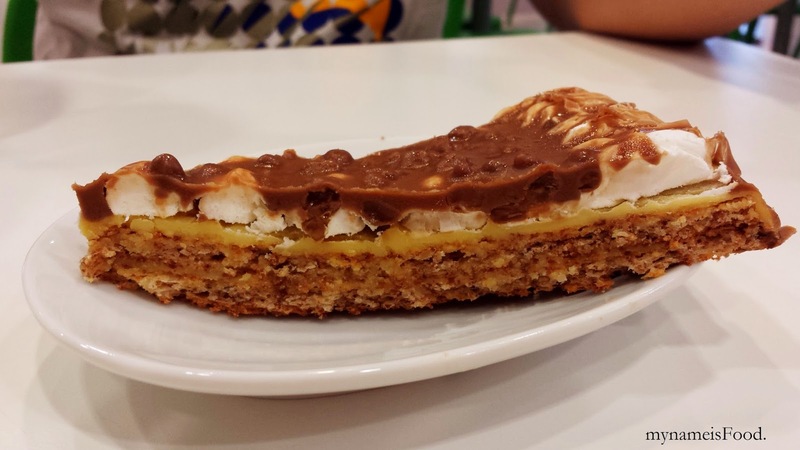 Ikea Restaurant & Cafe, Logan, Slacks Creek, Brisbane - my name is Food. 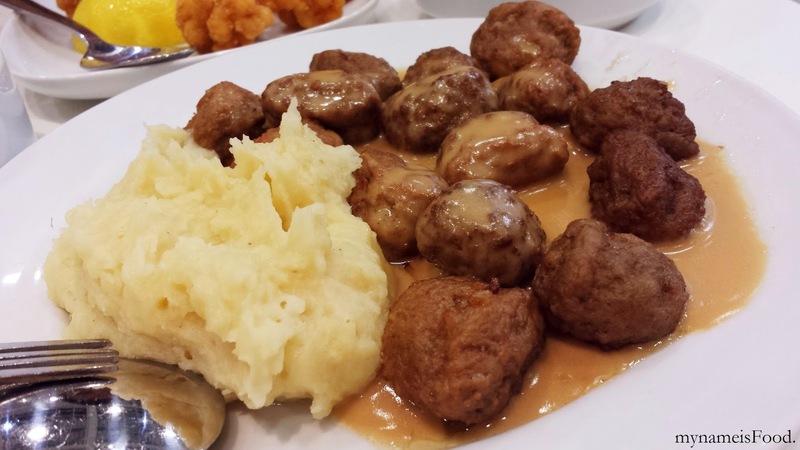 Swedish Meatballs (Kotbullar) comes in 3 different sizes, Small ($7.99), Medium ($9.99) and Large ($11.99). The photo above shows the medium size, which you could see is a reasonable portion. However, though servings may not be too consistent depending on the server who serves you during the time. A medium size from this particular time was given about 15 meatballs. These meatballs are decent in size, and is served with a dolloped of mashed potato with gravy. Their ligonberry sauce used to also be plated up when it gets serves, but nowadays, it doesn't seem like it and you would have to squirt it out yourselves located next to the tomato sauce in the drinks area. 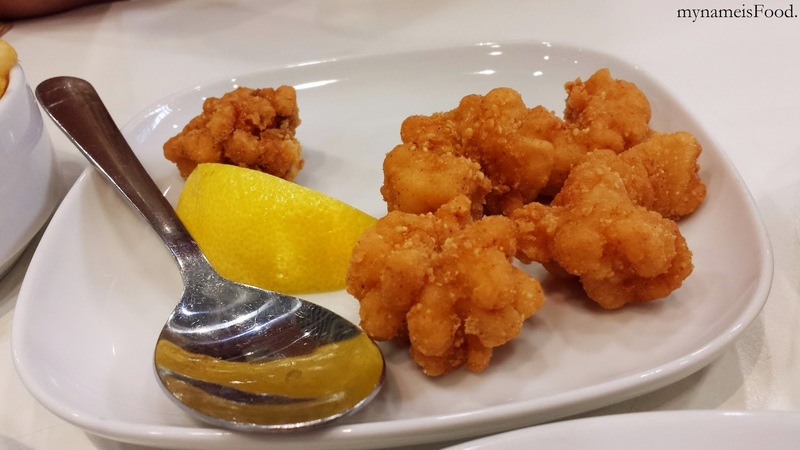 'Salt and pepper squid' comes not really nicely presented, just a scoop of the squids and a quarter of a lemon on the side. Taste was okay, nothing special. 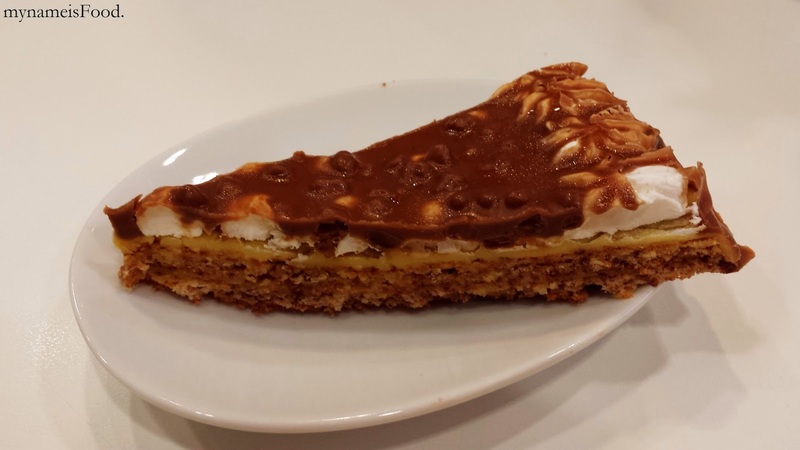 'Swedish butterscotch cake' (Tarta Chokladkrokant) which is an almond cake topped with chocolate and layered by buttercream and butterscotch. This cake is gluten free which is good for many people. A great dessert that goes along well with coffee or tea. All food are available to be bought in their Ikea store after the check out.